We all live in the age where pop culture is a big part of our routine and everyday conversations. All of us have fictional influences and characters who we relate to. These people might not be real, but they feel alive because of the emotions they evoke in us. All of us have rooted for the young, but wise Khaleesi to rule over the seven kingdoms. We have all cheered for the little misfit boy in his fight against the greatest evil wizard of all times. We have all sobbed uncontrollably when Rose had to let go of Jack amid the frozen Atlantic. We have laughed with F.R.I.E.N.D.S and fought endlessly for Team Edward VS. Team Jacob. Considering all this; these people’s courage, loyalty, defiance and devotion inspired us to be the people we are today. So it only makes sense if you’d like to bring your favorite characters to be present for the next phase of your life. Oft times it happens that pop culture also brings people closer and help them bond. 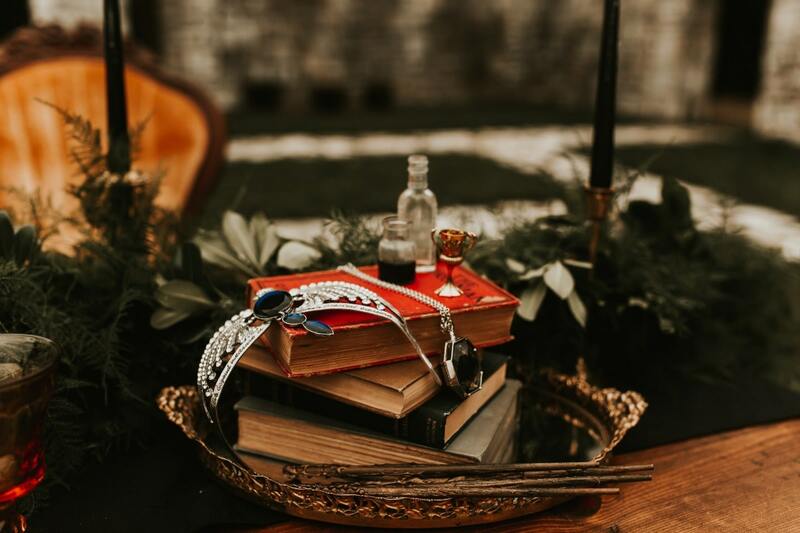 If you and your ONE; have a mutual favorite band, or television show, or a movie, or a book; here’s how you can incorporate it into your wedding. It will gain you admiration as well as it will be the personal touch that will make people remember your big day in the future. Plus, it makes for great photographic material. 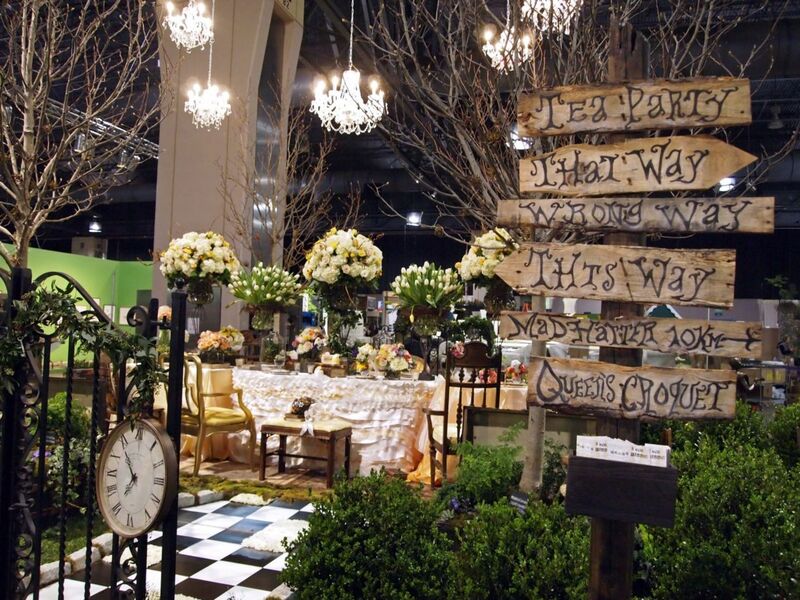 If you are an unusual group of friends who felt misfits growing up, an Alice in Wonderland themed bridal shower is ideal. 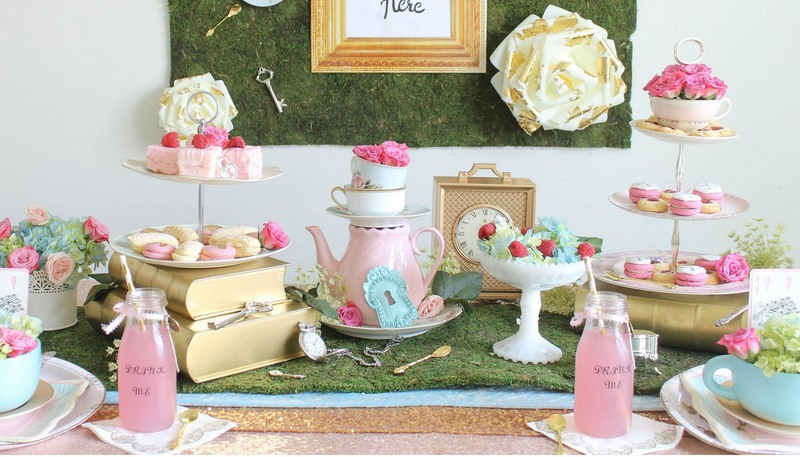 You can throw your best girl a garden party inspired from Mad Hatter’s tea parties and the bride-to-be is sure to appreciate it. It’s a colorful affair and you can have lots of fun making ‘Eat Me’ and ‘Drink Me’ favors. Even an outdoor setting isn’t a must, you just need to have vintage tea sets, colorful food and mismatching chairs and voila! Alice in Wonderland also signifies as a story of friendship and accepting your differences. Miss Austen is immortalized by her masterpiece, Pride and Prejudice, however, you will find that all of her books are a beautiful ode to human flaws. Her heroines are strong minded, influencing women who had the courage to pursue their dreams and overcome their shortcomings. Her heroes are far from perfect, but they always rise to the occasion. It’s what any of us could hope to be. 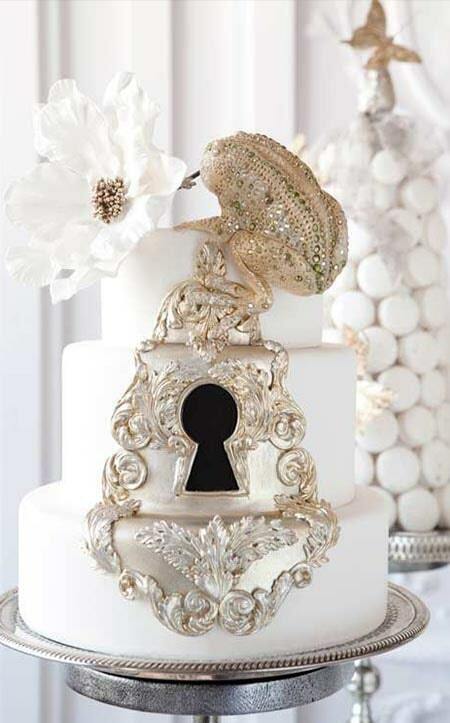 If any of you are fans of her works, you will love a vintage touch to your wedding. Vintage wedding invites, for instance, are classy and you can use your favorite author’s quote to add deeper meaning to your wedding. You can seal them with wax, which is a renewed trend these days. 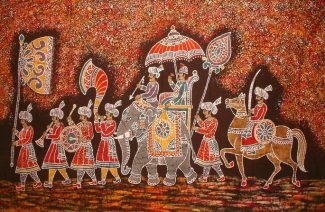 It sounds like traditional Mehendi, doesn’t it? Every Mehendi with a dance floor, eventually turns into a Bollywood themed Mehendi. However, we are talking about the décor here. 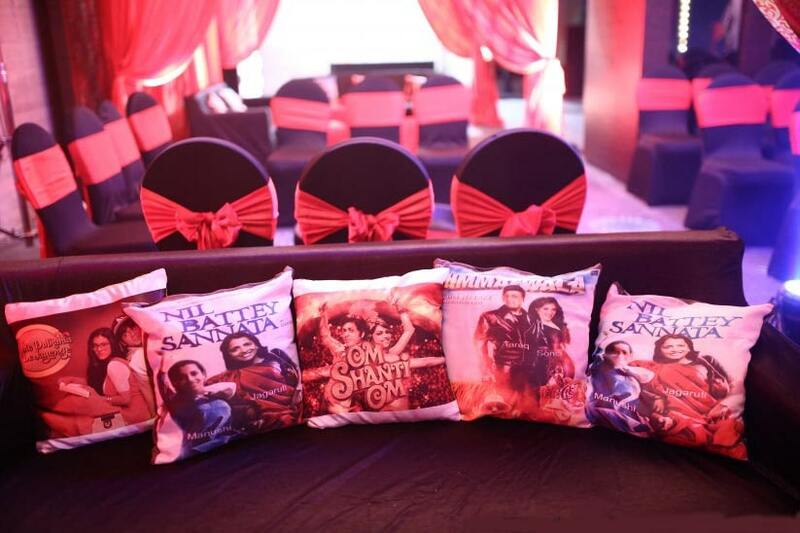 You can pick your favorite movies and incorporate them into décor. 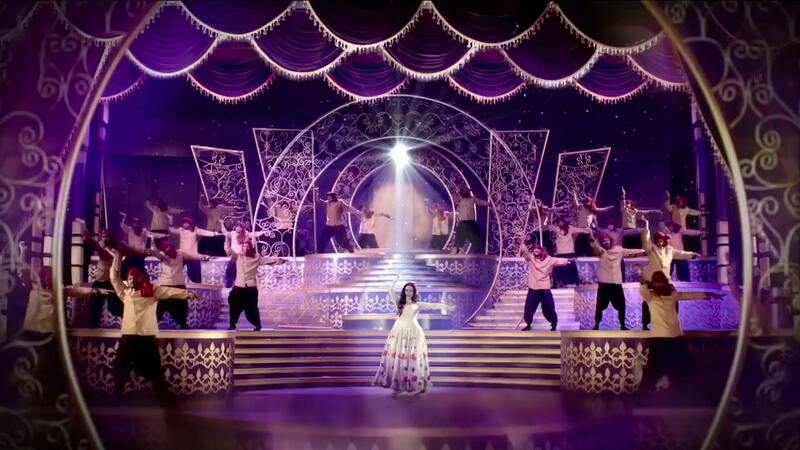 You can have stage décor inspired from typical Bollywood flair. You can have a red carpet for entrance. 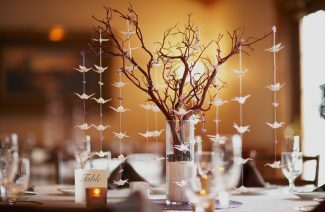 Your centerpieces can be Bollywood style. 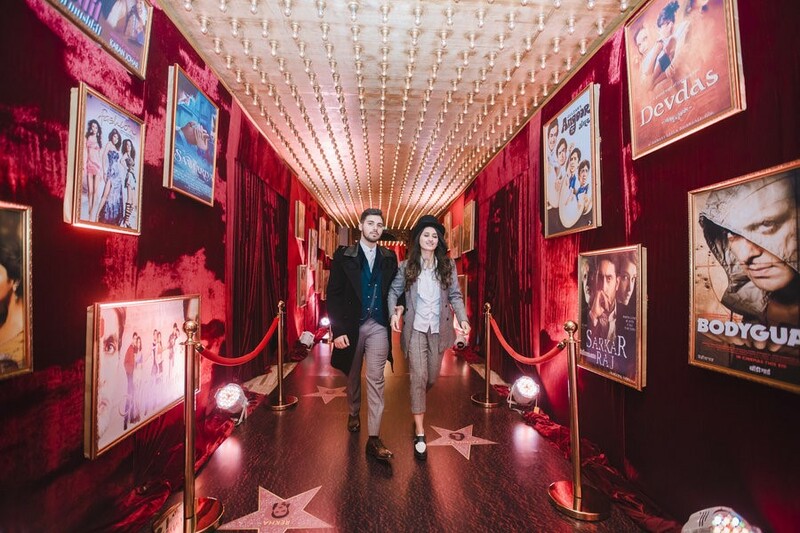 It will be basically a colorful affair with your favorite movie stars’ making a presence through photos, projector lights and their lovely songs that will get your feet moving. Have your groom do that signature SRK arms spread pose or don on a kala chashma. 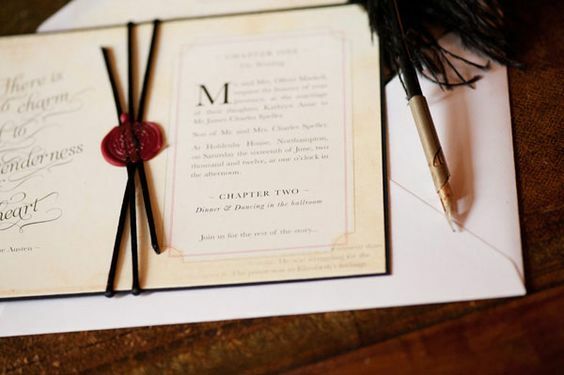 You can give your wedding favors a literary twist by creating DIY favors that nod towards your favorite series. 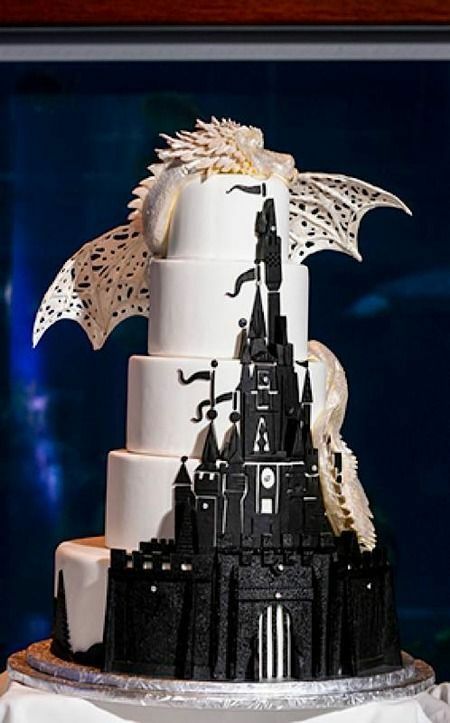 You can pick any of your favorite television series or movies to create personalized wedding favors. 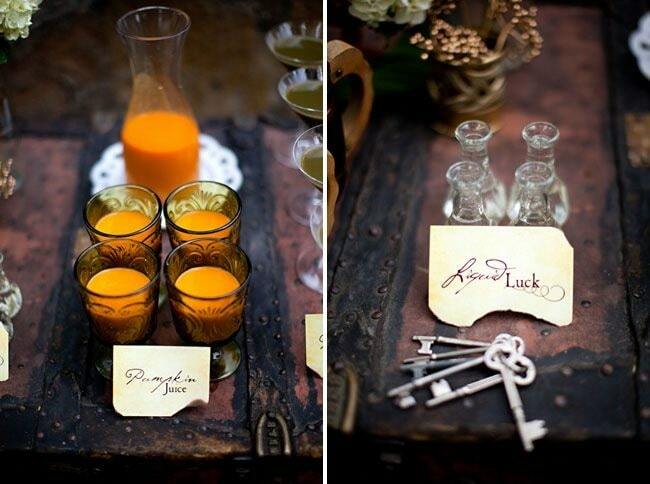 We have picked Harry Potter inspired favors to give you an idea what your favors could look like. You can also just print out random quotes and paste them on favors, if you are having trouble picking one. This idea, especially, works for groomsmen favors because there are not many options available. There are a lot of DIY ideas available online to get you going. You can also offer your old books to guests and offer them to pick their favorite as favors, if that’s the sort of the thing your guests will enjoy. Call us naïve, but we still believe the good old Disney fairytales to be romantic. Sure, the modern age of empowerment is inspiring and Disney’s older version of Happily Ever After with its singing animals and fairy godmothers is light years away from the reality of relationships. However, the innocent belief that love conquers all and goodness is always rewarded has some kind of irresistible purity. Are we the only ones who believe that if we do good, we can expect good in return every now and then? 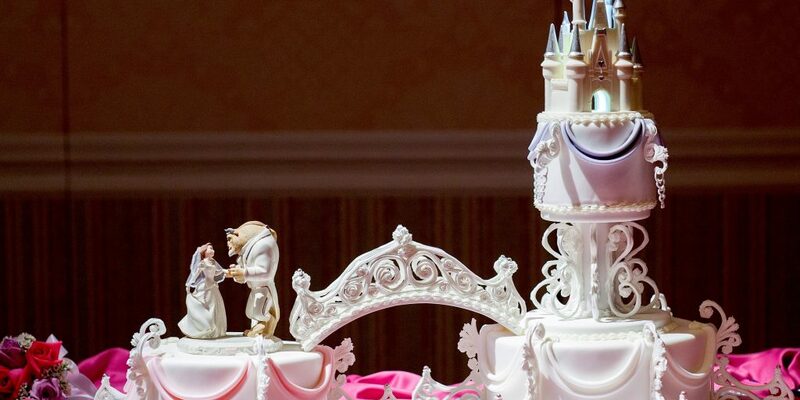 If you too are a romantic at heart and know the lyrics to all Disney songs, you should be thrilled with these Disney themed cakes. After all, it’s a good idea to begin your journey with all the hope, faith and love that Disney preaches. 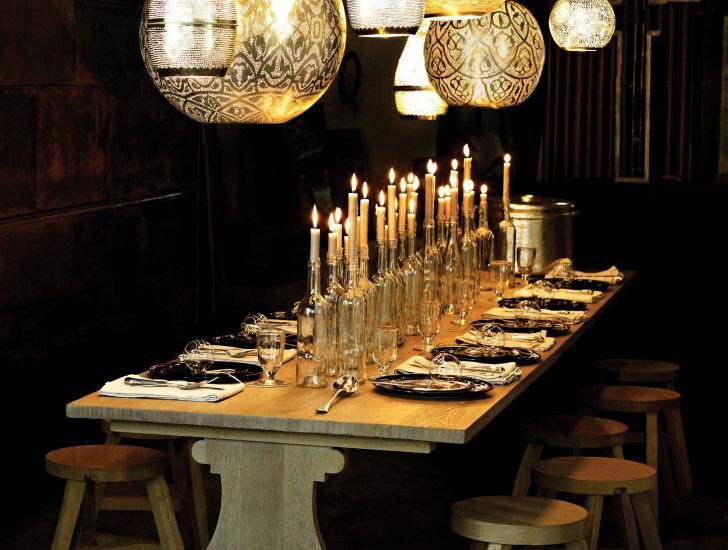 So you might have heard this before, but it is absolutely too gorgeous to not mention the idea. 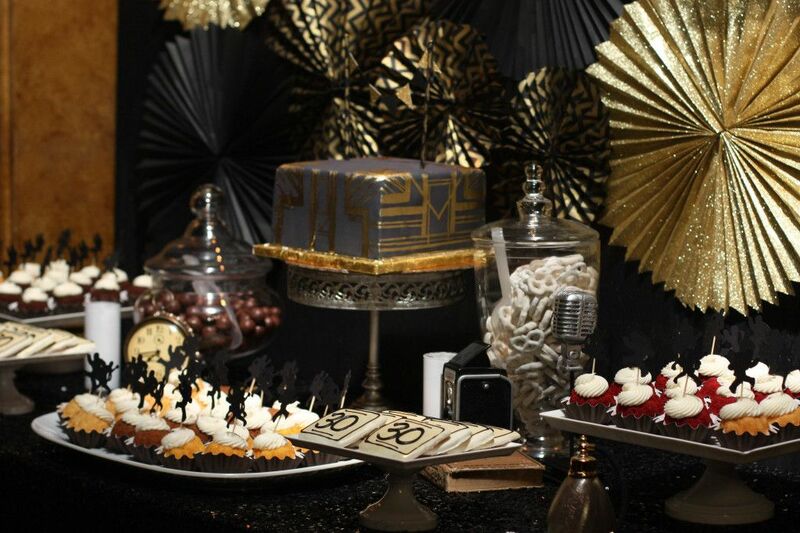 The décor, the theme and the menu inspirations are endless with a Gatsby themed reception party. The 20s’ era was rather spectacularly glittery and everything you’d hope your wedding to look like. The black and gold is a fiery combination and it looks so pretty. You can dress up with sheath dresses and diamonds. The men can wear tuxedos and you can set up balloons and crystals for decoration of the venue. Nobody ever tires of the Gatsby and you can have a live Jazz band to take things up a notch. 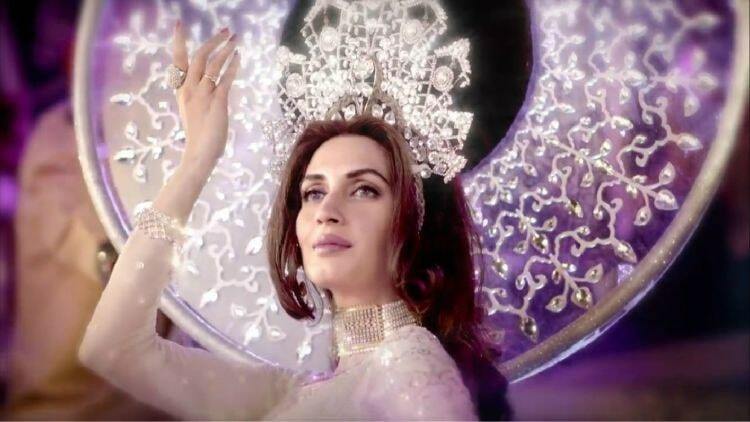 Pakistan’s tradition to associate Jazz to dinner time really needs to change. 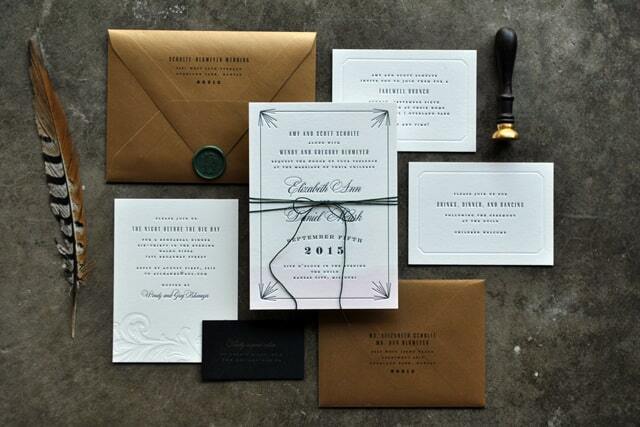 Invite your multimedia family to your wedding!